If you have a concrete floor your home, then you’ve probably thought about repairing concrete floors. Not a one of them is perfect, but there are ways to make them look that way. So, what kinds of repairs are you looking at? Settling is a common complaint in older homes where the concrete is original and has been subject to the settling of the surrounding soil. This is trickier to correct them with other concrete problems due the fact it’s not an inherent flaw in the concrete and because it may require structural work. You may want to look into options that consider shifting the property to properly support the concrete. However, in most cases, this kind of repair isn’t feasible for a homeowner. But the flooring lady is the best one to repair the concrete floors. You may face any kind of the cracking issues at your home. That is not a matter to solve, we have the multiple solutions and also the professional technical persons to repair your concrete home. We help you to make the cracked area into newest one without the patchwork. After finishing the work it will not look like patched work, it will become a new and a shiny place with the professional finishing. Without the money loss, we make perfect, you no need to spend more and more energy and the valuable things in the repairing concrete place. We make very simple and perfect finishing work on your concrete home. Cracked or broken edges on a concrete floor can be fixed on a small scale. Larger cracks will need either the entire floor removed and re-poured, or having a cap — or overlay — poured. And while it may sound as if there’s a big difference between these approaches, they are fairly simple and can be completed by a homeowner in many cases. Repairing a concrete floor usually just takes a little concrete, though caulk may do the trick, and some patience to redo the damaged area. Repairing concrete cracks in a concrete floor are absolutely necessary when you are planning on putting another flooring option over the top. This will keep moisture from making the cracks bigger and damaging the foundation with changes in temperature and season. First, our technicians will scale the cracked place, then will make it good within a few times. No need to take more effort in the replacement area. We have the better new techniques for repairing cracks in concrete floors. At most times, a concrete floor will be very tough and durable. There might also be some occasion where the concrete floor might get damaged. 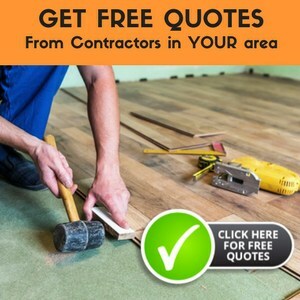 The cracks and holes called divots which is generally caused by chipping are the two most common problems which affects the flooring made up of concrete.Repairing Cracks in floor made up of concrete, need to begin with a dry surface. You may wish to run a dehumidifier or fan until the area is completely dry. If you skip this step, new cracks may form and creep right back into your “fixed” area. When you encounter flaking on the concrete’s surface, this can be a signal that the original concrete was not mixed properly. In order to correct this problem, a surface layer can be added to strengthen the top surface. However, if you realize that the substrate is also flawed, you will want to have the area re-poured and reconstructed.Every homeowner has complained of a stained concrete garage floor and wants to fix it. Not only is it unsightly and unattractive, it can also be dangerous. Rubber- and leather-soled shoes are especially prone to slipping on thus a kind of surfaces. Repairing slick concrete floors takes a bit more finesse. If the slick floor is due to grease or other oily stains, a thorough cleaning with detergent and a pressure washer will suffice. But if you are repairing a slick surface finish, that requires an artisan or concrete professional. Repairing concrete floors to look like new or to be made ready for a new flooring on top is important. Not only are you making an investment in your home’s beauty, but also you’re making an investment in the overall structure and the value of your home. I would like to just make you aware of our product Quick-mend concrete repair. It cures to 4500 psi in 15min. and is as thin as water so it gets to every crevis in the crack. It also works in -20 temps. The website is http://www.csspolymersinc.com Check it out and let me know if you can use this product. I have a few cracks in the poured foundation and floor of our home, which was built in 1977. I did a Raydon test last year and found we were just slightly above the level. My question is if I fill the cracks in our foundation walls and floor, can I expect to see the levels come down a bit? WHat would you recomment to fill the cracks? Cement patch mix, caulk, hudraulic cement, Quickrete, etc…??? How wide are these cracks? I would go with a cement mix. The big question is figuring out if your floor needs to be sealed. Have you ever done a moisture test? Sealing your concrete will also help to keep gasses from entering your home as well as moisture. You have several options for sealing: sealing, painting/sealing, epoxy paints, etc. Browse the full article archives of the site. I am in need of some advice on what is the best course of action. I recently purchased a 1950 built 2 – car garage split level in Northern NJ . As you can imagine given the age of the house there are some cracks in the garage floor, and some significant pitting/erosion in places. the cracks are in places quite large about a 1/4″ with one edge higher than the other again about 1/4″ higher. Is there a way I can resurface and basically relevel this by repouring over the surface with fresh concrete or do I need to have something more significant done. I’m also considering converting half the garage in to additional living space. It’s kind of hard to suggest anything at this point. You really need to seal those cracks first (caulk is a good option). If the concrete finish itself has a slick finish too. I think the article (above) should give you enough information so that you can draw your own conclusions. If you still need help, be sure to drop back in with more information about the present floor. We have a new home and have a number of hairline cracks in our garage floor due to settling. What is the best way to repair these cracks? If this is a new home, I would contact the contractor or builder and see if this is covered under warranty to be repaired. Cracks in concrete should be filled in with concrete as described in the article above.